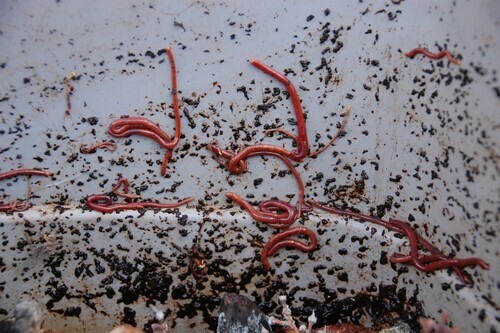 We opened the worm bin after a long gap and found the poor things desperately trying to escape from the rising waters. In an attempt to avoid this we often leave the tap on the bottom of the bin open and draining into a bucket but it seems the nozzle was blocked and the fluid had built up to catastrophic levels. It's happened before. Still we were pleased to see the healthy and large population and glad we got there in time. The worm bin is an effective way of recycling smallish amounts of vegetable waste but we've not been good worm wranglers and haven't really made much use of the excellent worm worked compost they produce as it always seems just the wrong moment to tip the whole disgustingly smelly thing out and sort through before reloading. At about this time of year I usually make a big batch of paper shreddings to pack into the top of the bin to help protect it from the risk of hard frosts but I'm not sure just how much that kindly gesture can be supported by science. 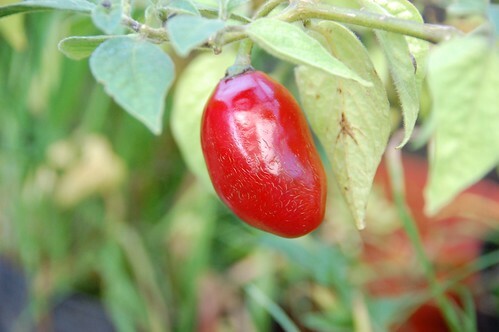 As soon as the really hot weather stopped the rocoto chillies got going and the plants are now laden with fruit some of which are perfectly ripe and very hot indeed. These are definitely my sort of chilli plants and I hope to keep them going for another year, indeed another fifteen years if I last that long. Next year I will supplement them during the hotter months with some Lemon Drop which we've enjoyed before and make a fantastic chilli shaking sauce (like Tabasco but more yellow!) and that will be all our chilli needs covered. Rook is looking rather regal here don't you think? 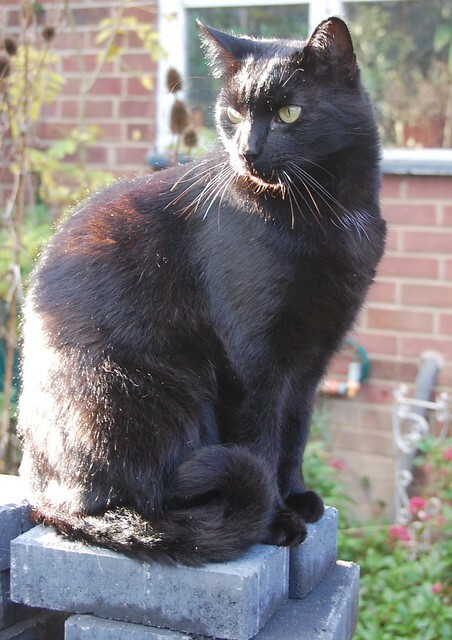 Rook is a perfect name for a cat, and that's a beautiful cat. (And I'm a dog person.) I found your blog from mine (Out of the Ordinary) and I'm enjoying it. Although it makes me miss autumn! We're ankle deep in snow here.